We need a USB memory stick for a range of purposes and whatever your essential purpose is, we need a USB stick mainly to save and share our data. 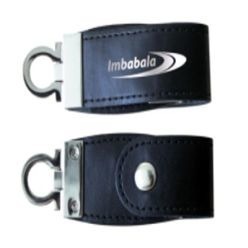 Memory sticks are available in different forms and types, one of them is leather. 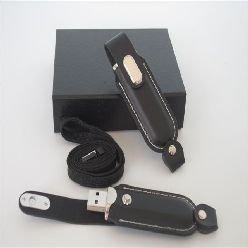 If you are looking for a nice leather USB memory stick, look no further as Giftwrap has a nice collection to offer. Available at Giftwrap is the leather USB, which is a USB flash drive that comes in a leather pouch. It comes with a lanyard and a presentation box. On the other hand, the data storm memory stick is a leather wrap. The casing of it cannot be separated from the USB but in general it comes with a presentation pouch. 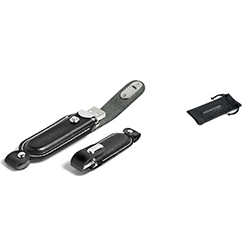 Finally, the third is the leather USB; made out of leather and highly polished material, this is a USB that is designed to make sure that you get one of the best devices at the best rates. The idea behind all these USB memory sticks is that each of them is unique and serves its purpose of saving data. Get one of the USB's at Giftwrap and you won't be disappointed with the results!